“Autistic Talent Gala 2015” concluded successfully! The “Autistic Talent Gala 2015” organized by AnAn International Education Foundation Hong Kong concluded successfully on December 18, 2015 at The Hong Kong Academy for Performing Arts. With the brilliant and amazing performance of 19 teams of contestants from over 10 Asia regions, we are deeply impressed by their incredible talents and passion. Sponsorship for "Autistic Talent Gala 2015"
We have pleasure in sending the attached advertisement form for your attention and we look forward to your support. We would like to invite you to join us and enjoy the evening with the autism performers from Asia. Announcement of the Finalists of "Autistic Talent Gala 2015"
Please click the button on the right side to know the result. Online voting for Autistic Talent Gala 2015 has been ended! Online voting for Autistic Talent Gala 2015 has been ended at noon on September 16. On September 19, our panel of professional judges assessed the performance of the 77 entries and drew up the list for the final. 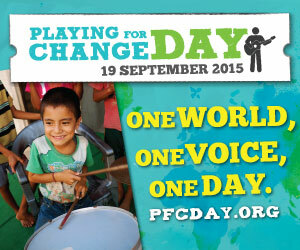 "Autistic Talent Gala 2015 – 1st Round” has participated in Playing for Change Day by registering as “Playing For Change Day for The Autistic”, which is one of the over 250 events among 46 countries. Providing a chance for the autistic to participate in social functions, to mingle and share with other members of society. Offering an occasion for the autistic to show their talents in public, thereby building up their self-confidence. Enabling the public to appreciate and respect the outstanding talents of the autistic through this competition. This contest is open for application from the autistic in Asia. The winners of the first round competition will be invited to join the Finals and our exchange program which will be held in Hong Kong in December 2015.